Tsuruya Yoshinobu - Shop and cafe inside the COREDO Muromachi 3 in Nihonbashi. 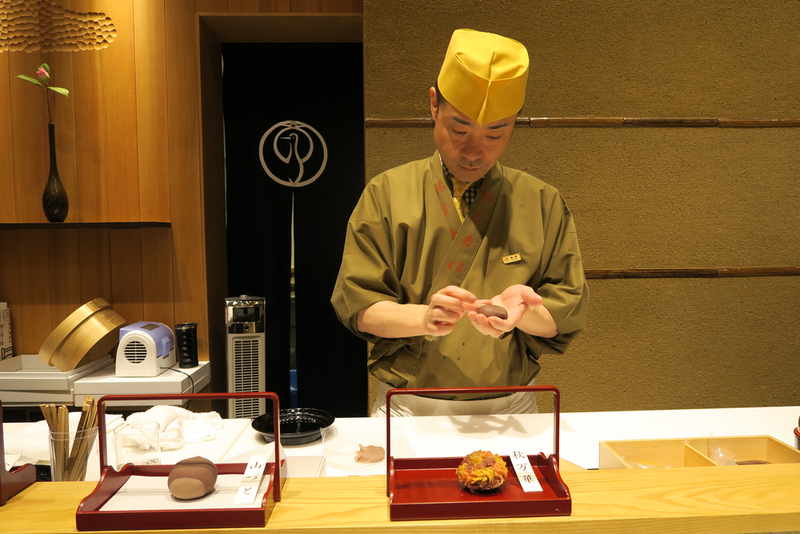 Tsuruya Yoshinobu is a Kyoto confectionary business founded in 1803. We sat at the counter where the confectionary artist prepares the wagashi (traditional Japanese confectionery) in front of you. The day we went they had 2 wagashi choices for the counter. Note: a more extensive menu of deserts is available with the regular table service.